The Bighorn Mountains of Wyoming offer an excellent introduction to mountain backpacking for confident first-time or experienced backpackers. After three days of preparation at Widji, groups of four campers and two counselors drive for two days by van to the Bighorn National Forest, in north central Wyoming. 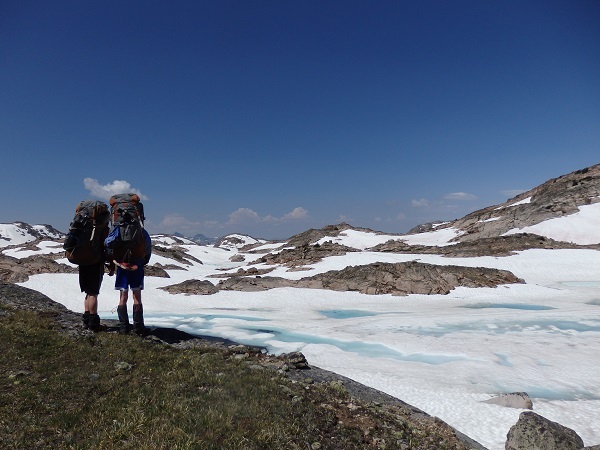 Campers spend approximately eight days hiking at elevations of 8,000-10,000 feet and experience the beauty and majesty of the western mountains.